and emotional wellbeing benefits of engaging with horses. human-horse relationship requires mutal trust and respect. Our mission is to provide effective horse programs to youth which will facilitate personal growth and self-efficacy so participants can navigate pathways towards sustained positive behavioural change. 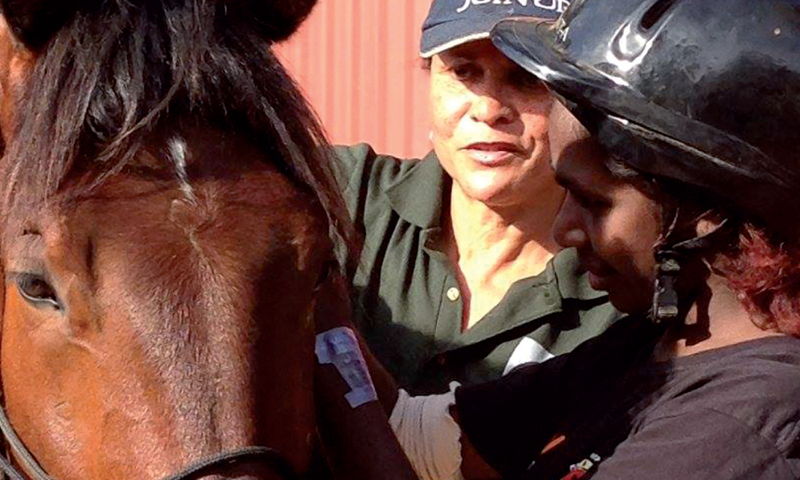 Equus Bonding Incorporated is a Perth based not for profit charitable organisation that relies solely on funding and donations to operate. Equine Assisted Therapy is an established therapeutic model already demonstrated to be effective in international and national contexts. There is substantial evidence that interaction with horses can be a catalyst for human behavioural change. The development of every human-horse relationship requires mutual trust and respect. This dynamic means EBI participants must learn to regulate their emotions by employing non-violent, non- threatening methodology . This is achieved by providing participants with supported opportunities to strengthen a range of interpersonal skills. Working with horses has been demonstrated to be an enjoyable and potentially life changing experience that enhances the social and emotional well-being of participants. Equus Bonding Inc relies soley on donations and funding to operate. All donations are gratefully accepted and appreciated. Donations can be online with credit card through PayPal.